A 5 mile loop packed with unforgettable, one-of-a-kind views of Mount Tam, the Golden Gate Bridge, and San Francisco. It's a spare the air day as I'm writing this, and Angel Island is one of the Bay Area's premier public transit hikes. If you live in San Francisco (or are visiting) make the trip door to trail without your car. Take BART or Muni to Pier 41, then enjoy a lovely (and cool) ferry ride to Angel Island. Ferry service from San Francisco is limited in the "off season" (late autumn and winter). An early spring visit (via the Tiburon ferry) offers colorful wildflowers and lonely trails. North Bay folk, catch your Angel Island ferry in Tiburon. East bay peeps, get yours in Vallejo or Alameda. 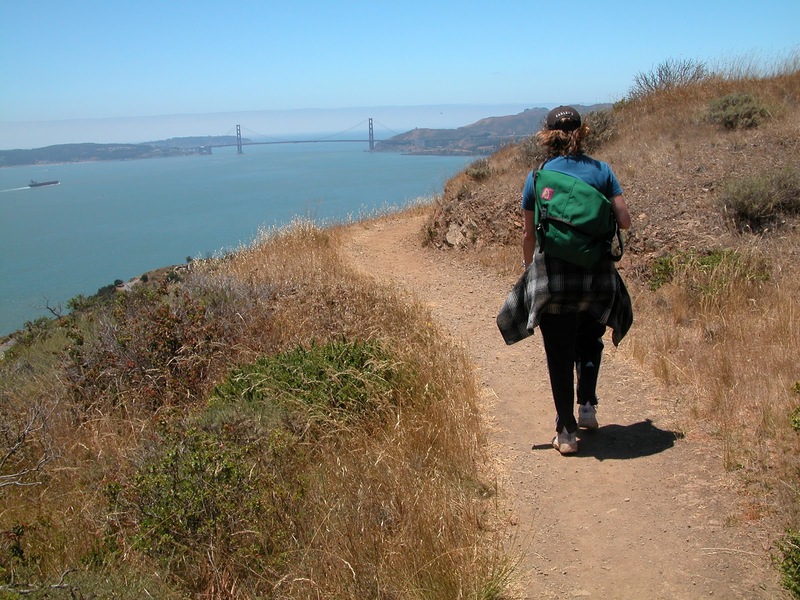 Angel Island is hike number 1 in 60 Hikes in 60 Miles: San Francisco (third edition). Read about this hike on BAHiker. Coal Mine Ridge, at the edge of Portola Valley, is a small preserve laced with easy-going trails. This 3.1 mile loop is a good one for new hikers or families, and is mostly shaded. Be sure to visit one of my most beloved Bay Area trees, an ancient sprawling coast live oak near the junction of Old Spanish Trail and Coal Mine Ridge Trail.